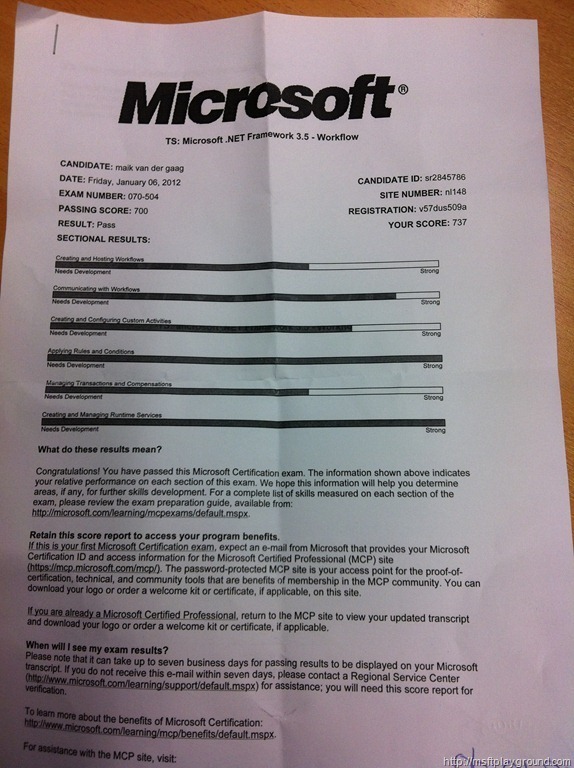 18 months ago I decided to become Microsoft Certified Technology Specialist (MCTS): Microsoft .NET Framework 3.5, Windows Workflow Foundation Applications. I bought a book (Windows Workflow Foundation Step by Step) and started reading. After reading about 150 pages I was to busy to continue reading. Three months ago I started reading the book again and I finally finished it just before the end of 2011. Today I had my exam to my surprise I had to answer 70 questions were my past exams had only 50 questions. It was a really tough exam. I needed 140 minutes to finish the exam. 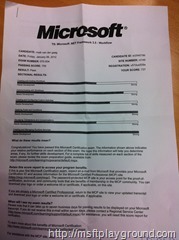 But I passed the exam this is really one to be proud off! If you want to try this exam I really recommend you (when you read the some book) to look at the differences between WWF 3.0 and 3.5. Beside that I also recommend you to take this training (6462A: Visual Studio 2008: Windows Workflow Foundation (2 Days)) which one I did not attend. Awesome Article…!!!! Thanks for sharing such a wonderful information with us. Glad to know the .NET Framework 3.5, which is so helpful for freshers as well as experienced…Thanks a lot..!!! !